AggregateIQ, a Canadian advertising tech and audience intelligence company, has been suspended by Facebook for allegedly being closely connected with SCL, the parent company of Cambridge Analytica, reported the National Observer. Essentially it was set up as a Canadian entity for people who wanted to work on SCL projects who didn’t want to move to London. That’s how AIQ got started: originally to service SCL and Cambridge Analytica projects. AggregateIQ has never been and is not a part of Cambridge Analytica or SCL. 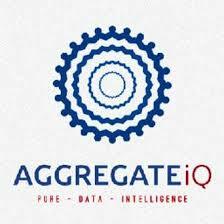 Aggregate IQ has never entered into a contract with Cambridge Analytica . Chris Wylie has never been employed by AggregateIQ. AggregateIQ has never managed, nor did we ever have access to, any Facebook data or database allegedly obtained improperly by Cambridge Analytica. 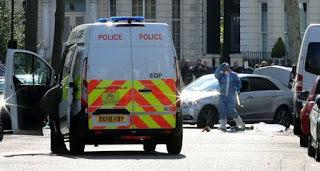 But the reporting in the Guardian makes these claims hard to take seriously. For instance, a founding member was listed on Cambridge Analytica’s website as working at “SCL Canada,” the company had no website or phone number of its own for some time, and until 2016, AIQ’s only client was Cambridge Analytica. It really looks as if AIQ is simply a Canadian shell under which operations could be said to be performed independent of CA and SCL. In light of recent reports that AggregateIQ may be affiliated with SCL and may, as a result, have improperly received (Facebook) user data, we have added them to the list of entities we have suspended from our platform while we investigate. That will put a damper on SCL Canada’s work for a bit — it’s hard to do social media targeting work when you’re not allowed on the premises of the biggest social network of them all. Note that no specific wrongdoing on AIQ’s part is suggested — it’s enough that it may be affiliated with SCL and as such may have had access to the dirty data. I’ve asked both companies for confirmation and will update this post if I hear back.